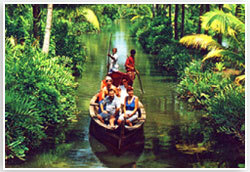 Destinations : New Delhi - Cochin - Kumarakom - Alleppey - Kovalam - Trivandrum - New Delhi. 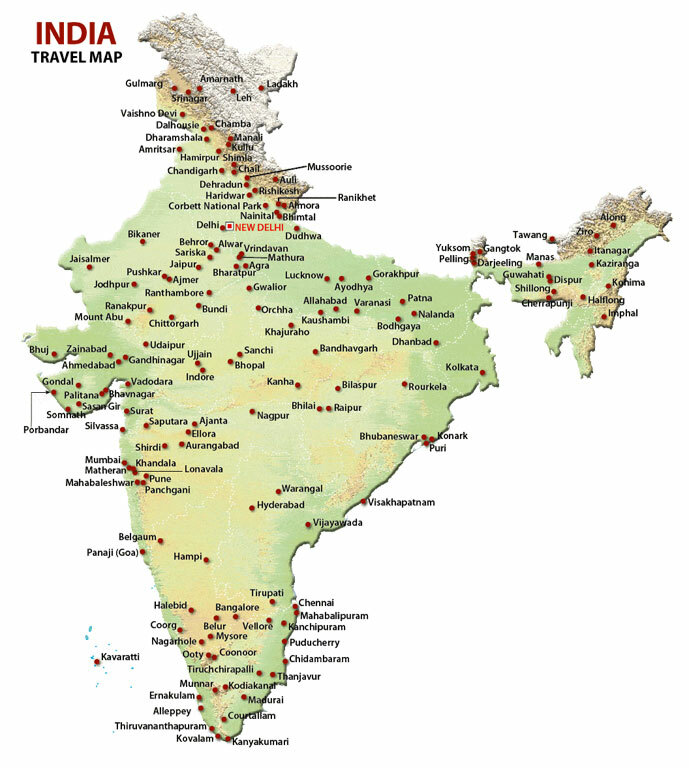 Day 01: New Delhi – Cochin (ARRIVAL): Welcome to Incredible India!! !Arrive in Cochin, the commercial capital of Kerala. Stay overnight. Day 02: Cochin: This morning after breakfast take a full day city tour of Kochi. Your sightseeing will include Fort Kochi beach, Jewish Synagogue, Mattancherry Palace or 'Dutch Palace' & the Chinese Fishing Nets. The Chinese fishing nets found here are the only ones of its kind in India. Day 03: Kumarakom:Transfer to Kumarakom (130 kms / 4 hrs), hidden away in Kerala's famous backwaters, is one of Southern India's most discreet holiday destinations, en-route you will stop to see the spice plantations. Stay overnight. Day 05: Alleppey This morning after breakfast transfer to Alleppey popularly referred to as 'Venice of the East' and check-in to the traditional houseboat for Back water Cruise, which will be a unique experience in your life. 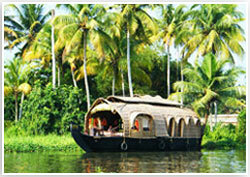 No tourist can go away from Alappuzha without taking a cruise along the backwaters in a traditional houseboat. The houseboats complete with a well furnished bedrooms, a kitchen and a bathroom. There are drivers and a cook on board. On the houseboat you can observe the everyday life of locals, pick up toddy (a mild alcoholic drink made from coconut sap), dig into grilled prawns and indulge in bird watching. Enjoy dinner on board and overnight in the houseboat. Day 06: Kovalam: This morning after breakfast indulge yourself in the beauty of the tiny beach. You can go for swimming bathing at kovalam, it will be an exhilarating experience and if you go for snorkeling, you can get wonderful views of underwater coral reefs. Surfing is another water sport which you can enjoy in Kovalam. When you are in Kovalam do not forget to take an Ayurvedic Massage to refresh your body and soul. Overnight stay at Hotel, Kovalam. Day 07: Kovalam: In the morning move out for an excursion to Kaniyakumari. Late evening drive back to your hotel. Rest of the time free for relaxation. Overnight in your hotel. Day 8: Kovalam : This morning after breakfast your will be transferred to Thiruvananthapuram. Take a sightseeing tour of Trivandrum city includes Napier Museum, The Zoological Park. The main attraction is Padmanabhaswami Temple, a seven storey stone structure is the most impressive landmark. This temple dedicated to Lord Vishnu contains several inscriptions and excellent murals, innumerable intricate stone carvings adorn the temple. Return back to Kovalam. Over night in your hotel.